Enter the BookElves Anthology giveaway and read the latest Shirley Link! I’ve teamed up with some of the best Middle Grade authors around on the BookElves Anthology Volume 2! 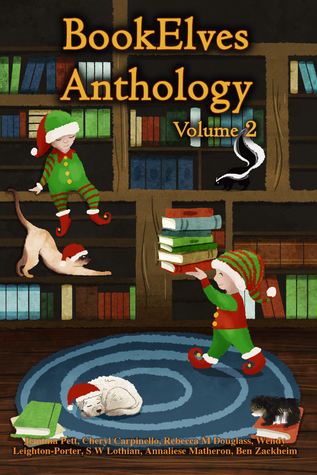 The anthology is packed with holiday short stories by, well, me, Jemima Pett, S.W. Lothian and more. My short story is titled, Shirley Link & The Clueful Christmas. In it, Shirley grapples with the holiday blues as her friends design a treasure hunt in hopes of cheering her up. It was a blast to write! Enter to win a softcover copy of the book on Goodreads! The giveaway ends on November 26th. Go ahead and tell your friends, too. That’s the Christmas spirit! 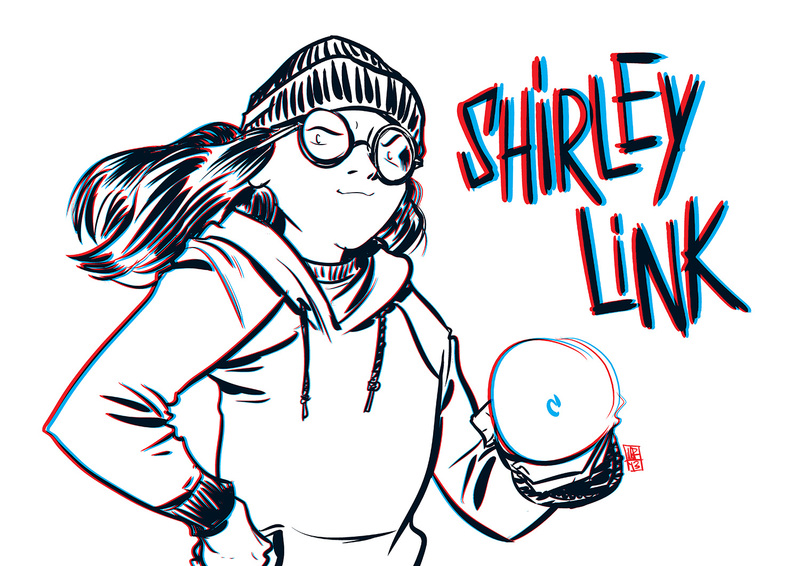 The Shirley Link Box Set is now available for your Kindle! Great news for you Kindle lovers out there. 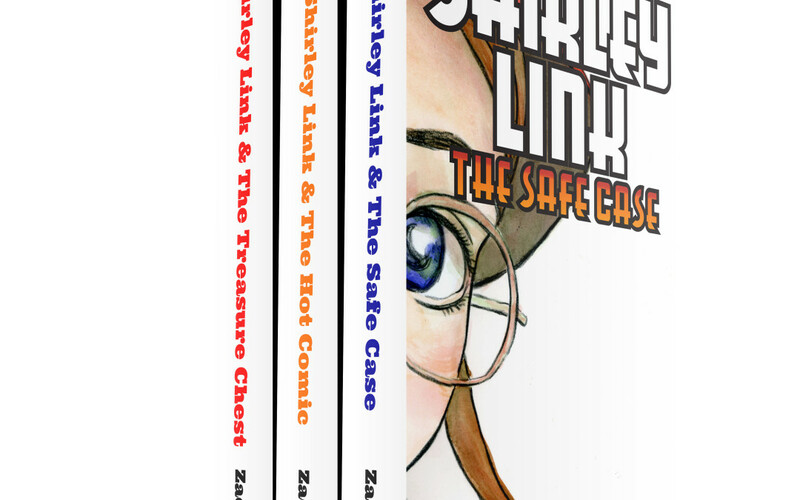 The first three Shirley Link books are now available in one box set! $2 for 300 pages of adventures! Someone stole thirty thousand dollars, which is bad enough. But the thief also took the one-ton safe that stored the cash! How is that even possible? Shirley and friends need to find out if they want to save their favorite school principal from getting axed. Someone is after a mint copy of The Avengers #1, worth over $100k. He’s taunting the police with notes about when he’ll pull off the heist. Whoever is behind the notes also wants to pull Shirley into a battle of the brains. Can she outwit a brilliant, determined criminal and save Thor, Hulk and Iron Man from his plot? Shirley proves how rewarding it is to get out of the house and explore. During a casual stroll through her town’s sewers (don’t ask) she stumbles on evidence that Shelburne Falls’ underground is hiding something. But what? As she digs deeper she finds evidence that a pirate’s treasure is waiting to be found. Can she work through the clues and unearth the fortune? 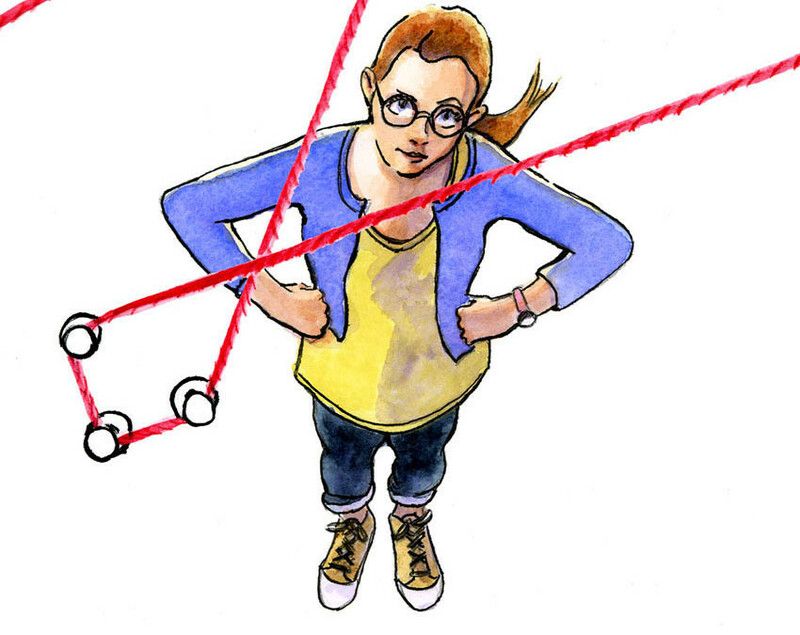 Here’s Chapter One of the middle grade mystery book, Shirley Link & The Party Poopers! It’s available now on Amazon. Everyone loves my mom. She’s fair, stern but kind, and she makes brownies that sell out at every bake sale. But I have to say, she’s never been good with large groups of people. Don’t get me wrong. In her job as a police officer she could charm a room full of crooks before arresting them. But when it comes to things like speeches, well, she’s not in her element. The crowd is especially big today as the town enjoys the Iron Bridge Dinner. It’s an annual party where most of Shelburne Falls shows up at our bridge to eat a meal together. “So, uh, YEAH! Okay!” my mom says. “Thank you, councilman. Thanks to uh, to uh…” She wants to thank her sister, my Aunt Patty, but it looks like she’s forgotten her name. “Patty,” Patty mutters. She’s shaking her head and smiling, teeth clenched like she just sat on a cold toilet seat. Poor Mom! The town is recognizing her for her service to the community. She raised $25,000 for a fund to restore the Mohawk Trail, which is this beautiful path that runs around our town. 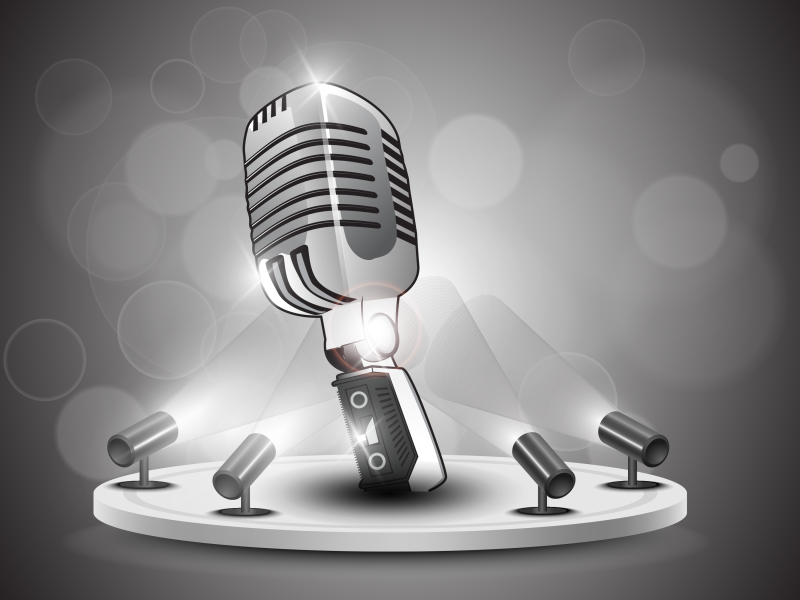 She came up with the idea of a music fair fundraiser last summer. No one thought it would come to much. But when she asked a really popular band called The Nields to play, they said yes. So after they said yes, that opened the floodgates and before we knew it we had a free venue and five bands performing for the cause. My Aunt Patty nominated Mom to get the annual Community Service award. Everyone is surprised she won, though. The last few years’ awards have been given to my friend Jacob’s dad, J.L. Graham who, apparently, has as much charm as his son. Meaning not much at all. I mean, the man has never shown up to receive the award. He’s a billionaire. I guess he likes his privacy. I’m fascinated by J.L. Graham. His family has lived in the area for two hundred years. They’ve always enjoyed a lot of support from the community, even when the Graham family hit hard times. If I remember right, J.L.’s mom died young and his dad had a reputation for hating everyone. J.L. had to stay with friends for months at a time while his dad got carted off to jail. Just a bunch of small crimes. But they added up to a life that doesn’t sound like much of a life. J.L. worked hard to put that behind him. He built up his empire from nothing. Speak of the devil! Well, speak of the devil’s son, I see my friend Jacob on the other side of the crowd. He’s what many people would call handsome, but I would call dastardly. What can I say? I just know him too well. I guess the fact we met because he kidnapped me makes it hard to be objective. I gesture for him to come over, but he just slouches his shoulders and walks away. Weird. I probably did something to offend him. Like getting an A to his A-. Or maybe I beat him to school one day this week. He’s competitive that way. Hey, I said he’s a friend. I didn’t say I like him all the time. Mom’s finished her speech, Thank Thor. That was painful. “Hi sweety,” she says to me, coming off the stage. “That was a disaster,” she says, the smile not breaking from her face. She doesn’t really have a problem messing up. She usually thinks it’s funny. “It was your worst yet,” I say, giving her a hug. She laughs even more. Before I know it, she and I are taking Aunt Patty to Moe’s for something sweet. “I still feel bad for forgetting your name, Patty.” Mom is sipping a lemonade while her two favorite girls enjoy ice cream. “Stop it,” Aunt Patty says. “It could happen to anyone,” I add. “Sure. Anyone who drops 127 IQ points when she speaks in front of more than three people,” Aunt Patty finishes, with a smile and a wink. 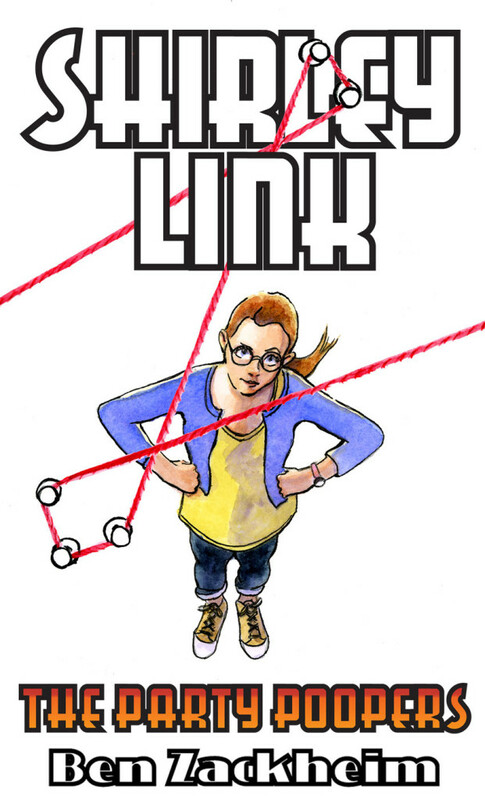 “Congratulations, Mrs. Link,” a voice says from the table behind me. It’s Jacob. He has his moping face on. Uh-oh. He’s in a mood and a half. Jacob follows me outside. We stroll toward the bridge. “What?” he asks. Or whines. Depending on how you look at it. He has his hands in his pocket and his whole body screams leave me alone. “Did someone steal your Cheerios this morning?” I ask. “What’s that supposed to mean?” He darts out from between his slouched shoulders like an angry rooster. “Shirley has not thought of that,” I say, running with the fun new game ofRefer to Yourself in the Third Person. We glare at each other. “Maybe Marie and Wylie should capture this Instagram moment,” Wylie says from a bench on the sidewalk. Marie is sitting next to him. They both grin like they just won a million dollars on a game show. I didn’t see them there. “Jacob is acting weird,” I say, jerking my thumb at him. “You were nice to someone?” Wylie and Marie ask at the same time. They laugh. I try not to. I don’t want to pile on Jacob. I just want him to tell me why he’s so mopey! “Very funny. Nice talking to you three,” he says as he walks off. “I’m here to help if you need it, Jacob,” I call out after him. He stops walking, doesn’t quite turn around and then starts walking again. “Boy, he’s crabby,” Wylie says. Suddenly, Mom pops out of Moe’s. She’s on her cell phone and has that urgent walk I know so well. It looks like the police have a new problem on their hands. I’m about to stick my nose in her business when I hear a honk up the street. “Who’s that?” Marie asks. She points up the hill. A shiny red Chevy pickup truck that I don’t recognize has stopped next to Jacob. Fresh from the car wash. Maybe even just off the sales floor. Jacob’s body language screams discomfort. Whoever is in that truck is not a friend. So I’m surprised when the driver leans over and pushes the passenger door open. Jacob climbs in. “Jacob,” I say, not loud enough. He doesn’t hear me. Or he ignores me. “Jacob!” I yell. He slams the door shut. The truck peels off and roars up the hill, out of sight.